Chargeback Reversal? Here's 7 Insider Tips to Win & Recoup Revenue! A chargeback reversal is exactly what it sounds like: the process of convincing the bank that a chargeback dispute is invalid, and having it reversed. That’s not impossible, but it can be very difficult. The entire procedure is complicated and time-consuming, from the initial copy request to the actual return of funds to the merchant's account. In fact, many merchants feel that the end doesn't justify the means. But, if you’re aiming for long-term sustainability, ignoring chargebacks is not a feasible option. Chargebacks themselves can be a huge drain on your resources, and the long-term consequences of disregarding them can be so severe, it could put your company out of business. You have two options if a consumer files a dispute against your business: you can accept the chargeback, or you can challenge it. The act of obtaining a chargeback reversal is referred to in general terms as representment, because you literally “re-present” the transaction to the issuer. In the case of Visa, a chargeback reversal is called a "dispute reversal," and the representment process is referred to as "dispute response/pre-arbitration." For clarity, this post uses the more general terms. There are many factors to consider, but as a rule, merchants should dispute as many chargebacks as possible. The only exceptions would be if the chargeback was the result of verifiable credit card fraud or legitimate merchant error. First, challenging a chargeback recoups profits and merchandise you never should have lost in the first place. The prospect of recovering revenue that is rightfully yours should be enough of an incentive for most businesses to consider the process worthwhile. Plus, you avoid the added fees associated with chargebacks, allowing you to reallocate resources and grow your business. Obtaining a chargeback reversal sends a powerful message to consumers, banks, and members of the payment industry. Over the long-term, this can help bring about significant change. For example, studies show 40% of consumers who successfully complete an illegitimate chargeback will file another within the next 90 days. But when merchants fight invalid disputes, it demonstrates to those customers that filing a chargeback dispute is not an automatic win. Consumers need to know their actions aren’t ethical. Over time, this can change the way all parties view the chargeback process. Chargeback representment helps improve your merchant reputation at the issuing-bank level. When chargebacks are filed, it's easy for banks to assume the merchant is at fault, and letting a dispute stand can be taken as an admission of guilt. Following this logic, challenging only some chargebacks can almost be worse than doing nothing: from an outsider's perspective, if you only fight chargebacks in occasional situations, you are only occasionally faultless. Challenging disputes this way reinforces the "guilty until proven innocent" perception. As stated earlier, winning a chargeback reversal is difficult. It helps, however, to have some insider tips from industry experts to get started. For a chargeback reversal, you must provide adequate "compelling evidence,” or documentation that supports your case. The timeframe for returning evidence and necessary paperwork is very slim, though, so if you don’t already have a proper chargeback management system, now is the time to put one into place. 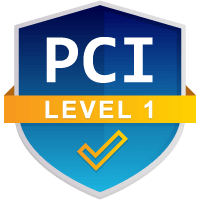 What constitutes compelling evidence varies somewhat between card networks, but it can be loosely defined as documentation that contradicts the cardholder's claim. Obviously, you’ll always want to keep a copy of the sales receipt for credit card transactions. You should also hang on to all order forms, tracking numbers, emails, and other forms of communication with the customer. If you require signed proof of delivery, those documents should be saved too. Photos that show the product was delivered, or is in the possession of the cardholder. Details from the cardholder's identification, if the customer made an in-store pickup. Proof the customer accessed your site for services after the transaction date. For travel merchants, evidence a boarding pass was scanned at the gate. Evidence that the cardholder had made similar, undisputed transactions in the past. When you receive notification of the chargeback, the letter (typically called a Chargeback Advice) will have an attached document (a Chargeback Adjustment Reversal Request) that will help guide you through the process of making your case. You’ll need to write a professional, detailed rebuttal letter to accompany your compelling evidence. This gives context and meaning to the documents, showing how they disprove the cardholder’s claims and explaining why the original transaction should stand. Both the merchant and the cardholder need to abide by a pre-determined chargeback time limit. Typically, customers have between 45 and 120 calendar days to file a chargeback, but the timeframe will vary based on the credit card network. Your time limit will also vary based on the merchant processor and other factors. In both cases, it is advisable to act as quickly as possible. Most documentation needs to be filed within 5 to 10 days of receiving notice of the chargeback, but Visa's new resolution process attempts to standardize all response time frames across parties. Visa's system differs in other areas as well; for example, when some card schemes receive no response, most consider it a tacit acceptance of the chargeback. Visa, however, requires an active response before the allotted time has elapsed regardless of whether you’re accepting or not, and failure to do so can result in fines. 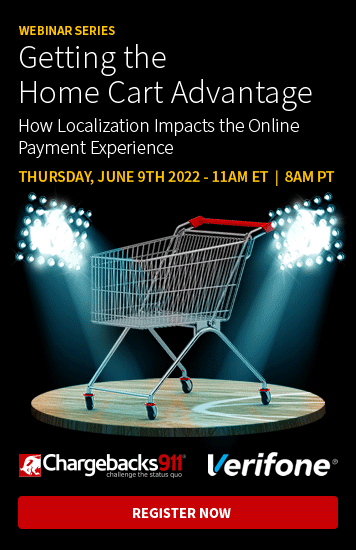 As other card schemes are likely to adopt their own versions of Visa's policies, it's in the merchant's best interest to cultivate the habit of responding in a timely manner. The sooner the chargeback reversal process is initiated, the more likely it is to succeed. Every chargeback dispute is accompanied by a reason code, which is fairly self-explanatory: a code that reflects the reason the cardholder gave for filing the chargeback. The different credit card networks have their own sets of codes, which are similar but still different. It is important to take the time to differentiate and understand the different reason codes. Knowing what different networks consider compelling evidence for each of the different reason codes, for example, can make it easier to gather the relevant and necessary paperwork and more efficiently challenge the claim. Understanding reason codes can help win chargeback reversals. Unfortunately, it will be less effective in preventing future chargeback disputes. The sad truth is, the provided reason code often has little or nothing to do with the actual reason for the chargeback, as most are cases of friendly fraud. It's often been said that an ounce of prevention is worth a pound of cure. This is true in the case of chargebacks: avoiding a dispute is always easier and less expensive than fighting for a chargeback reversal. Having said that, some chargebacks are significantly harder to fight than others. It’s wise to avoid these types of situations if possible. For example, it is generally easier to get a reversal on chargebacks that originate in North America or Western Europe. Chargebacks that come from Russia, Ukraine, or Indonesia, however, are nearly impossible to win. Bottom line: merchants should carefully scrutinize the original transaction for any signs of fraud before concluding a deal. Each attempt at a chargeback reversal offers many lessons. Win or lose, the savvy merchant will examine every outcome for clues as to what should --and shouldn't--be done for the next case. These "real-world" experiences are the best barometers of your actual chargeback situation. Preventing chargeback disputes requires an across-the-board mitigation strategy. Carefully monitor the chargeback reason codes that are being issued most frequently. Devise an aggressive strategy to stop those chargebacks from happening. The more you can proactively shut down chargebacks before they happen, the less you'll have to worry about the chargeback reversal process. Filing chargeback reversal cases yourself means reallocating valuable resources that should be used to grow your business. The technical jargon used by the payment industry is difficult to understand, constantly evolving, and inconsistent. Most merchants don’t have the insider access necessary to “pull strings” and affect change on their own. Overall, your chances of winning are low; only 3 in 10 merchants who engage in representment win more than 30% of cases. Luckily, you have access to experts who know all the ins and outs of challenging chargeback disputes. 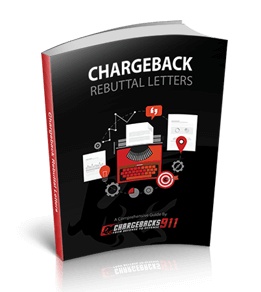 Want to know exactly how many chargeback reversals you could be winning? Contact us today for a free ROI analysis.